WonderFox Holiday giveaway full version license key. Save $39.95 by downloading full WonderFox DVD Ripper serial license key on this offer. Download the WonderFox DVD Ripper installer with lifetime code on this free offer. Also there is big discount for other products on the giveaway page. WonderFox DVD Ripper is an application to Rip DVD (disc/ISO) movie to other video formats. About 116 video formats supported. Compare with competitors, this applications can rip 6X faster with zero quality loss. 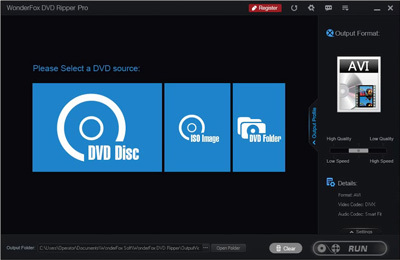 Regular price the latest version WonderFox DVD Ripper Pro is $39.95. On the giveaway the license key is 100% free. Found two active giveaway for WonderFox DVD Ripper Pro. Download the full license key from one of the following links. WonderFox DVD Ripper Pro Giveaway Page: Download the license! Other promo page: Alternative giveaway! No need to fill up online form or no registration requires to download WonderFox DVD Ripper Pro with free license key. Just follow the following steps. To get the free license for this software is easy. Visit the giveaway link. Click on “Get it Now” link to download the installer giveaway version with activation code included. Download, install and use the code to activate full features. WonderFox DVD Ripper support latest DVD protections technology. The app can help users to convert DVD video and make it playable in other media player. After giveaway expires, buy the full license key for WonderFox DVD Ripper pro. And get bonus HD Video Converter Factory for free. Buy WonderFox DVD Ripper Pro + Free HD Video Converter: Buy license here! WonderFox DVD Ripper Pro latest DVDs encryption. It also support variable bitrates (VBR) for better quality while converting video with smaller file size.